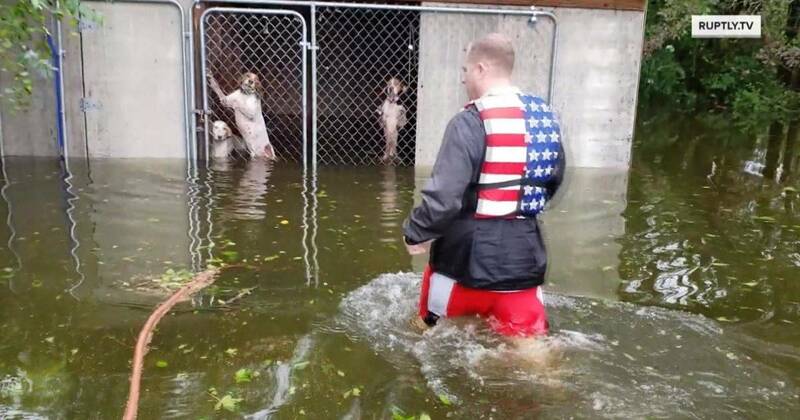 Volunteer rescuer saves dogs trapped in Florence floodwaters copied! On Sunday, a volunteer rescuer from Texas named Ryan Nichols discovered a heartbreaking scene in Leland, North Carolina, when he found a few distressed dogs trapped in Florence’s floodwaters. The good Samaritan freed the dogs, TODAY’s Hoda Kotb reports in the Morning Boost.